National League club Eastleigh have signed former Wycombe Wanderers midfielder Sam Wood on a two-year deal. Wood was released by the Chairboys in May after five seasons at Adams Park. The 30-year-old previously made more than 100 appearances for Brentford after spells in non-league with Cray Wanderers and Bromley. 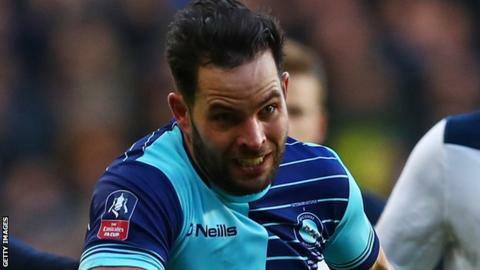 He can play on either side in a defensive or midfield role and featured in Wycombe's 4-3 FA Cup fourth round defeat by Tottenham in January.